The Missouri Mom: Surprise Selfie! The most wonderful thing in the world happened today! My phone was hacked, my screensaver was changed, and I was loved!!! Annoying??? No way! 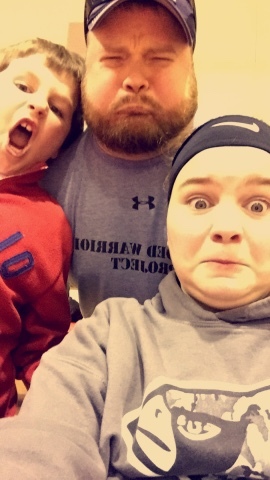 The fact that these three are comfortable enough to make funny faces and hack my phone makes me smile!